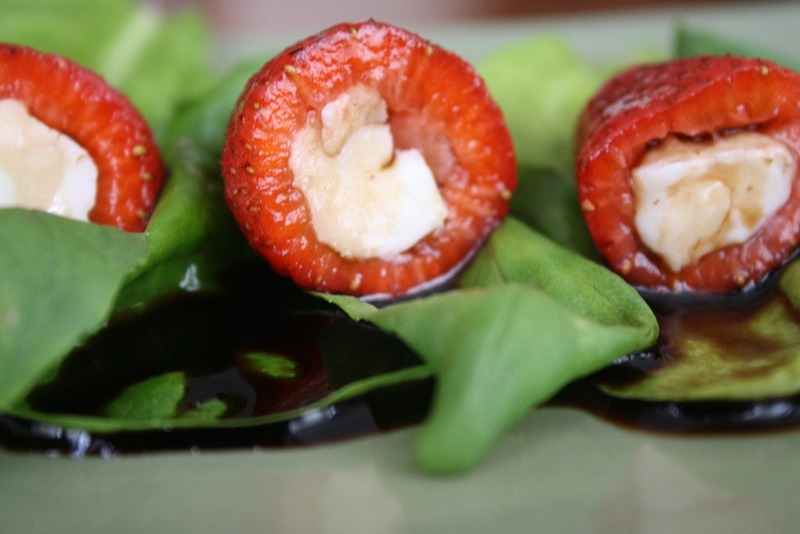 A salad you often see on menus includes strawberries, goat cheese and spinach with a drizzle of balsamic vinaigrette. This uplifting Spring appetizer brings all those flavors together, only in a different way. 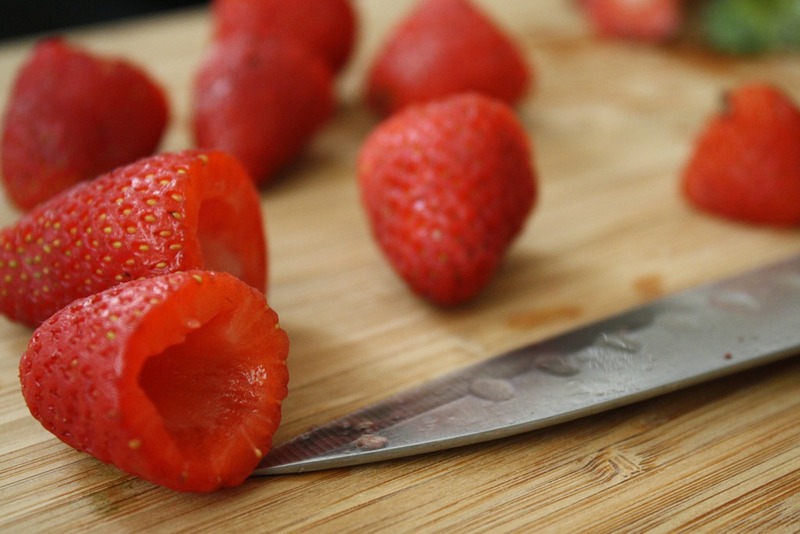 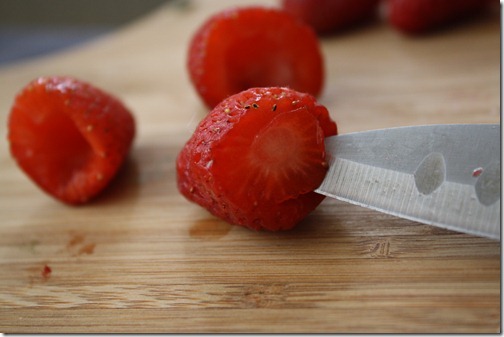 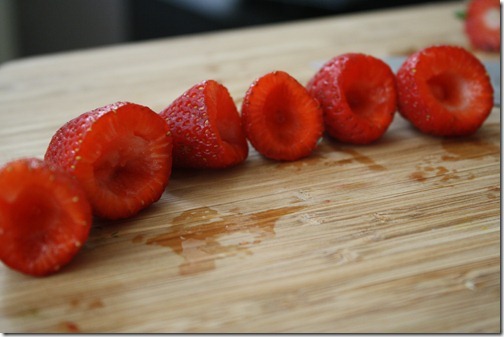 Stem the strawberries and carefully scoop out their centers using the tip of a knife. 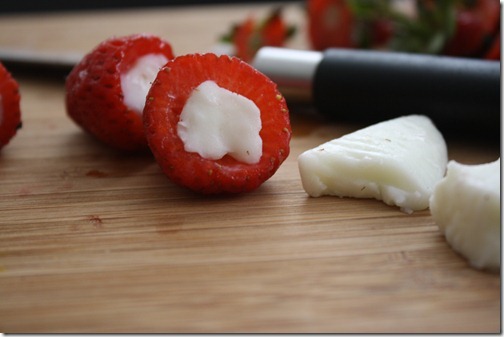 Stuff each strawberry with soft goat cheese. 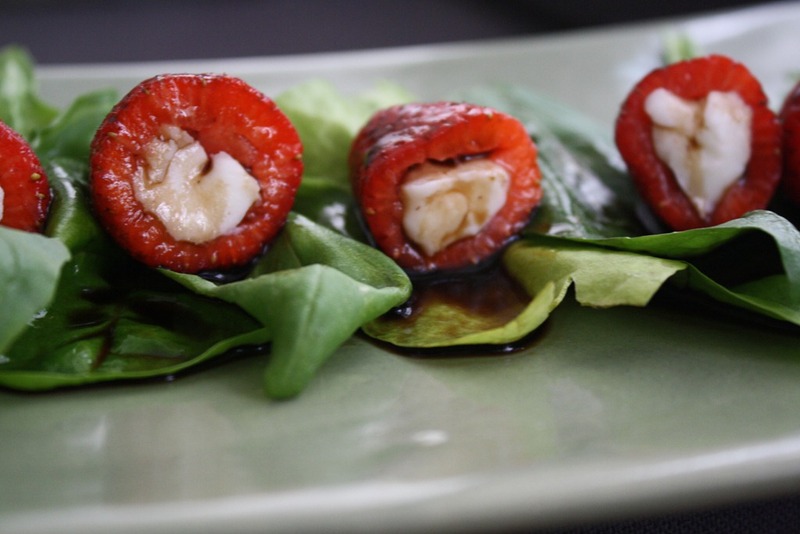 Serve on a bed of basil and spinach and drizzle with balsamic vinegar. This entry was tagged appetizer, balsamic, barbecue, basil, bbq, goat cheese, party, sliders, strawberries, vegetarian. Bookmark the permalink.